SC8000 offers a more productive, powerful, and greener solution for scrubbing and wet sweeping of large areas – carried out in the most resource-saving and cost-effective way. 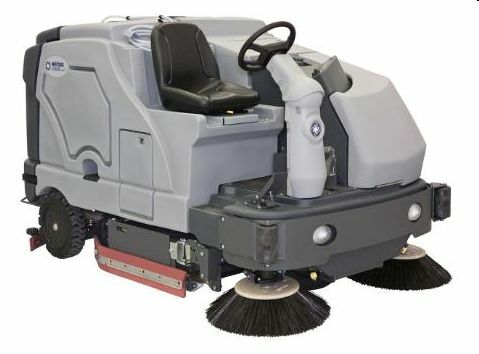 Productivity and efficiency is optimized through scrubbing and sweeping in one single pass, using the widest scrub deck on the market in its class. Power and reliability have reached a new level thanks to the introduction of the superior Kubota 1.6L LP engine. While the green aspects of cleaning, including limited use of water and detergent, can be controlled to perfection using the Nilfisk Ecoflex system, guiding the operator in every situation.